Mario Day, which celebrates Nintendo's iconic plumber, takes place on Saturday, March 10. To celebrate Mario Day, Nintendo has teamed up with Google to bring Mario to Google Maps. Starting today, "Mario Time" is available in Google Maps for Android and iOS devices. To enter Mario Time, tap on the yellow "?" icon that's available in the bottom right of the Google Maps app after updating the app to the latest version. With Mario Time enabled, your Google Maps navigation arrow will turn into Mario driving a Mario Kart vehicle. Google says Mario will be a "constant companion" wherever you're driving this coming week. The new Mario icon will be visible in Google Maps on every route you take while using the app. 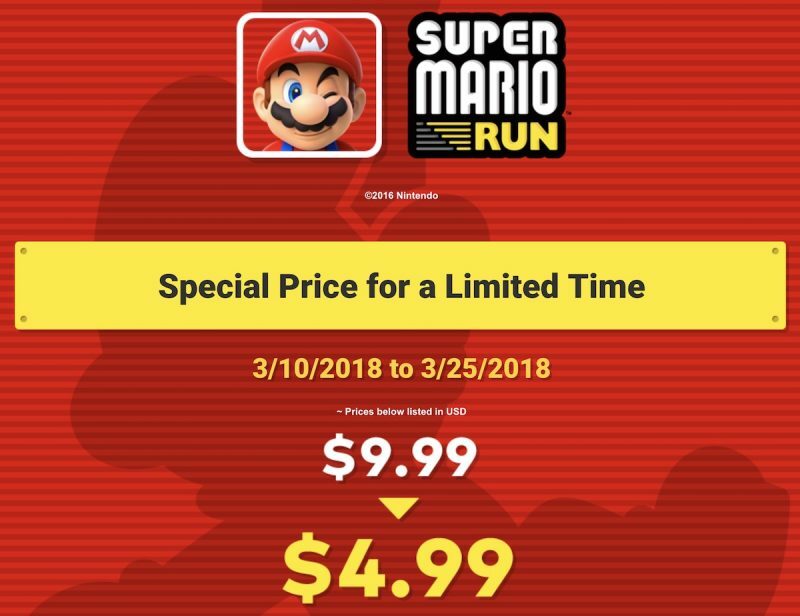 Nintendo is also celebrating Mario Day with a 50 percent discount on Super Mario Run, which means unlocking the game via in-app purchase will cost you $4.99 instead of $9.99 through March 25. The new lower pricing for the in-app purchase will be available starting on March 10. Itsssaaa me, a MarioooooooO! YaaawhoooooooO! They missed out big time on not changing the voice as well for the directions. The only time you hear Mario is at the beginning and end. I have the latest GMaps update and still see no "?" icon. Is this restricted to USA residents only? Did you click on the directions option (the one that gives you the time for travel)? That's when the Question mark shows up. Just tried it and it’s not available yet.